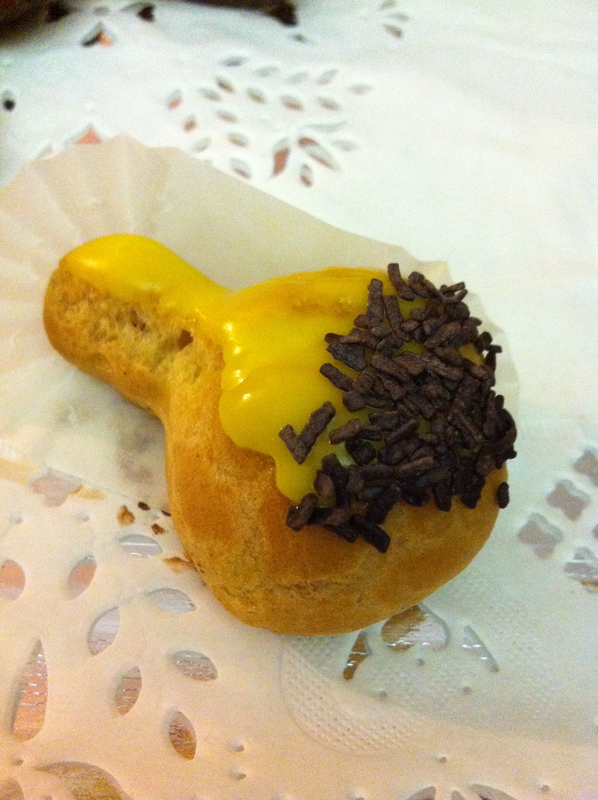 Like most of my favorite French pastries, the Gland is made from pâte à choux and is filled with a pastry cream (like the religieuse or its more famous cousin the éclair). Usually, the Gland is glazed with a green, white, or pink icing with chocolate sprinkles, or jimmies, at one end to help evoke the image of an acorn. 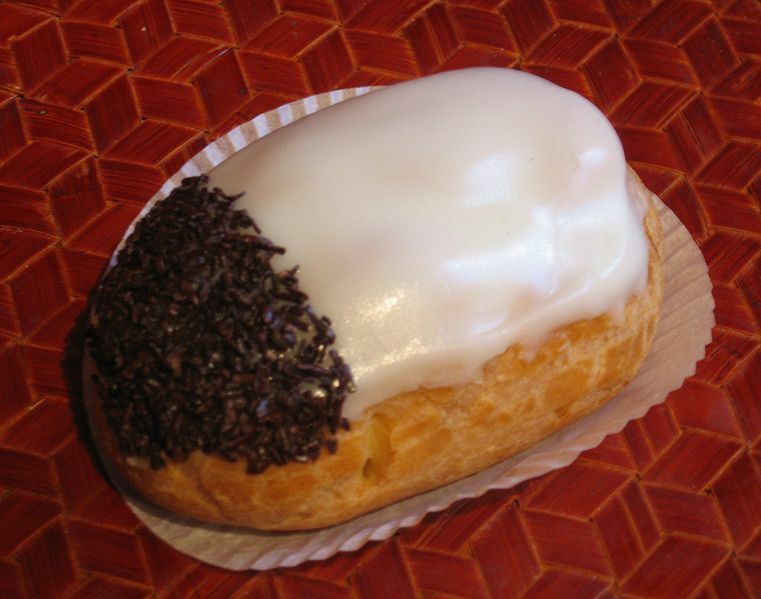 The pastry cream is usually flavored with Kirsch, a cherry brandy but, in the region of Champagne, the color of the icing traditionally corresponds to the flavor of the pastry cream : green icing for rum-flavored pastry cream, white icing for plain pastry cream, and pink icing for Grand Marnier-flavored pastry cream. Yum, right? I’ve never heard that the pastry was created with anything in mind other than an acorn, but it’s not uncommon for people to joke about the other meaning of the word. The French do like a good jeu de mots, a good double entente, and depending how your local baker bakes yours up, you might be in for a few jokes among friends! Note: The Gland is also sometimes sold under the names salambo and commissaire (“commissioner”).